Whether you’ve got farm animals that have just given birth, newborn animals exploring their new world or livestock enjoying their release from several long winter months inside the barn, your four-legged friends are probably out and about, grazing and enjoying their freedom. That’s why, throughout this spring season, it’s critical to have a reliable, strong fence to keep them in the right areas – and everything else out. 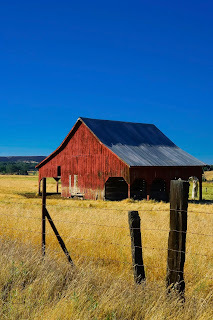 Here, we offer some tips and general information on farm fencing supplies that might help you decide what’s best for your property. The winter months often bring some wear and tear on fencing, so be sure to walk your fence line once spring arrives to assess any damages. If you have an electric fence, do a test run on your energizer to make sure everything is working properly. You can also use a live fence indicator that permanently attaches to your fence line and flashes to show everything is working as it should be. The ground is softest and easiest to work with during springtime, so take advantage by doing any repairs or building now. In today’s farming world, the choice between barbed wire and electric fencing is largely dependent on what its uses are going to be. For many farms with animals, electric fencing is the predominant choice. It’s cost effective, both in materials and in labor, and is usually the safer option. In addition, it’s more effective and versatile as well as easier to maintain and longer lasting than most barbed wire fencing. There are limits, such as the risk of dangerous shocks, damage from thunder and lightning storms and complications from heavy vegetation growth, however, in most cases, electric fencing will likely be your best bet. Barbed wire fencing options may be best for keeping intruders out of large properties and can be relatively cheap – however, the increased risk of injury both to animals and humans often negates the initial cost savings. Electrified high-tensile wire fencing: The high carbon steel in this fence provides strong, long-lasting security and reduces elongation (sagging). In addition, it is resilient, versatile and low maintenance. This type of fencing requires fewer posts, making it less expensive than other types of electric fencing. This is the best option for installing a permanent fence over a large area. This fence option should be avoided, however, when containing fast-moving animals like horses, as running into it at full speed could cause serious injury. Electric poly rope fencing: This type of fencing is thick and reinforced with stainless steel, making it an effective conductor. It is good for areas with high winds and is rust-free. Electric poly tape fencing: This fencing option is a highly visible, strong, rust-free type of fence that is available in three widths: 12, 20 and 40mm. Electric poly wire fencing: This type of fencing is available on a reel, making it convenient for temporary fencing needs like subdividing pastures. It is also highly visible for animals. One of the most common issues electric fence owners have with their power fencing is inadequate grounding. Proper grounding is critical for the electric current to keep animals contained and predators out. A rule of thumb is to use three feet of grounding rods for every joule of energizer output. So for a 3-joule energizer, you’ll need nine feet of ground rods. When thinking about your animals’ safety, fence construction is a very important consideration and one that you should look into based on the type of animal you need to contain and the fencing option you’re looking at. 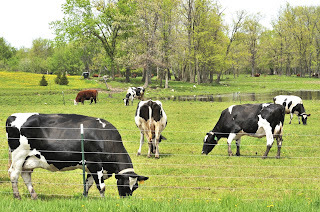 Electric fences are generally a safe option, as the pulse runs through the fence every second (or less) meaning that the animal has time to get away after it has been shocked. If you have a barbed wire fence, one thing to be aware of: Connecting a power fence energizer to it is not recommended. Barbed wire fences increase the chances of an animal getting tangled and stuck, and a power barbed wire fence would then lead to repeated shocks. Although it is unlikely that these repeated shocks would seriously injure or kill the animal, it would cause unnecessary stress and is best avoided entirely. Fencing is an important part of farm life, and one that requires careful consideration. Feel free to reach out to us at Paris Farmers Union with any questions you may have about what is best for your farm. 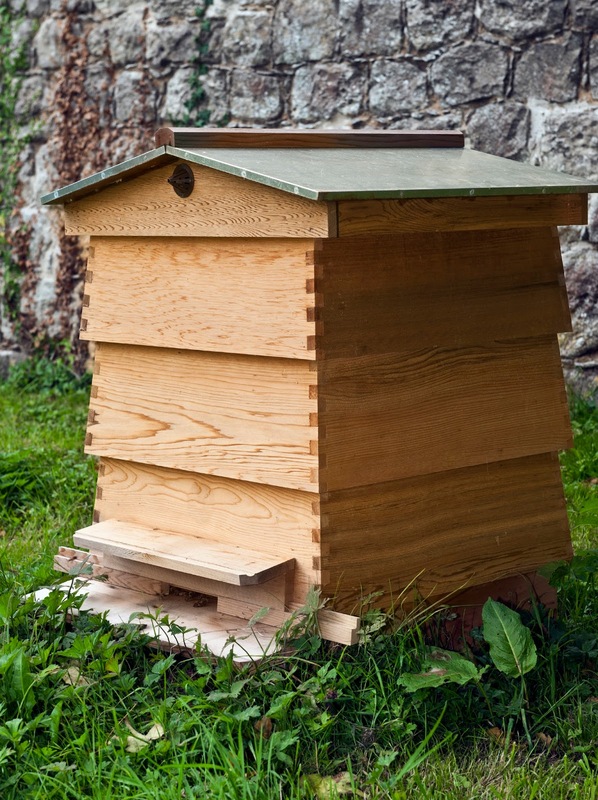 Choosing a Beehive: Buy or Build? In its simplest form, a beehive is a place for bees to live where they are sheltered from the elements, have access to the morning sun’s warmth and are close to a reliable supply of water. Don’t let this fool you, though – inside each stacked wooden box is a fairly complex home for these six-legged creatures. Starting your own bee colony requires research and an investment in both time and money to set up and maintain this insect abode. 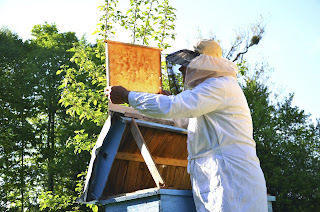 Whether you’re interested in running a beekeeping business or just want to try your hand at some home-grown honey, once you know you’re going to start a beehive of your own, you’ll need to decide how to go about getting your hive. The big question is: Are you going to build a hive or buy a hive? For many beekeeping enthusiasts, this may be an easy decision. But for those who aren’t sure, here are a few pros and cons to keep in mind. If you’re ready to kick-start your beekeeping endeavor, perhaps consider investing in a ready-made beehive for sale. You can skip the hassle of researching how to build a hive (and then building it) and focus more on the bees themselves. This resource may help you to decide on what kind of hive you should get for your own garden. Once you decide on the type, have a look at the beehives for sale here at Paris Farmers Union, which include this maximum-strength 10-Frame Medium Super; this pre-assembled 10-Frame Deep Hive Body; and this Complete 10-Frame Beehive. If you enjoy carpentry and have some experience, then why not try your hand at building a beehive for your garden? You’ll gain a better understanding of the inner workings of your hive, which will increase your chances of successful beekeeping. You’ll also save some money, although depending on exactly how much of the hive you build, you’ll still need to buy the materials and perhaps some of the parts. You can also buy a beehive set, which will provide you with all the parts of the beehive, ready to assemble. If you do decide to build your own beehive, make sure you pay attention to the timber you select. It should be untreated or protected using a natural, non-toxic coating (this is especially important for organic, natural beekeeping). You always want to make sure you’re buying parts or materials from a reputable seller for the best quality of materials that will make up a long-lasting, durable beehive. If you’d like to build just some parts of the hive but not the whole thing yourself, consider buying the frames, outer lids and queen excluder, as these are the more complicated components, and you can build the supers and the edges. If you choose to paint your beehive, use non-toxic paint and make sure you choose a light color that will reflect light and keep the hive from getting too hot. Also, do not paint the inside of the hive. Building a beehive requires extensive research and time, depending on your skills, so be sure to plan accordingly. 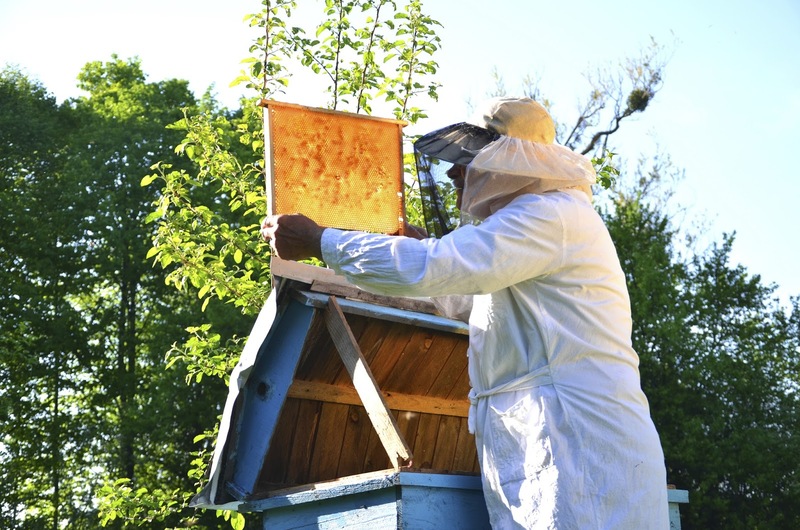 You may want to reach out to a beekeeper in your community to learn from his or her experience for tips and best practices, which will vary by geographical location and weather. Bees are an essential part of nature and perform about 80 percent of all pollination worldwide. Without them, our world would be a very different place. They’re also declining in numbers, with almost half of all hives dying in 2015. Help your own garden and the world too, all while reaping the benefits of fresh, delicious honey right in your own backyard.